Ms Vida Cruz of Quezon City, Metro Manila, Philippines, has recently been announced a winner of the internationally prestigious "Writers of the Future" (WOTF) contest. The WOTF is a science fiction and fantasy story contest that was established by L. Ron Hubbard in the early 1980s. Vida's winning short story has earned her a cash prize, a trip to Hollywood for a week-long intensive workshop, and a gala awards ceremony that draws over 1,000 people; as well as a chance to win the Golden Pen Award. During the RFA interview Vida talks about her background, how she developed her interest in science fiction writing and her excitement at winning the great honour as a writer of the future. She also mentions how she was previously a journalist with GMA, one of the Philippines' largest media networks, and was selected for a writers workshop in San Diego, California, USA. Vida's name has an enthralling resonation and etymology to capture one's interest for the science fiction genre. Vida in Spanish means "Life", derived from the Latin word Vita. True to her name, Vida is bringing new Filipino life into the great Hollywood halls of real, futuristic science-fiction legends. 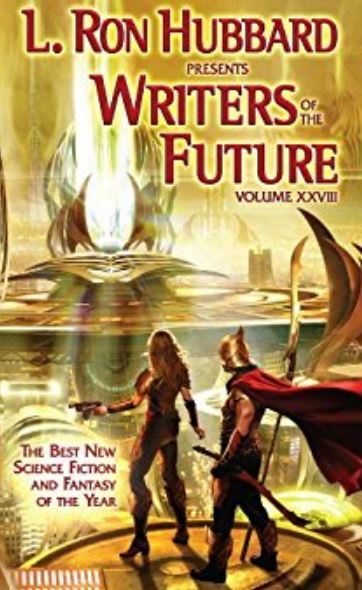 Photo left: Cover of Writers of the Future anthology by L. Ron Hubbard, volume 28. 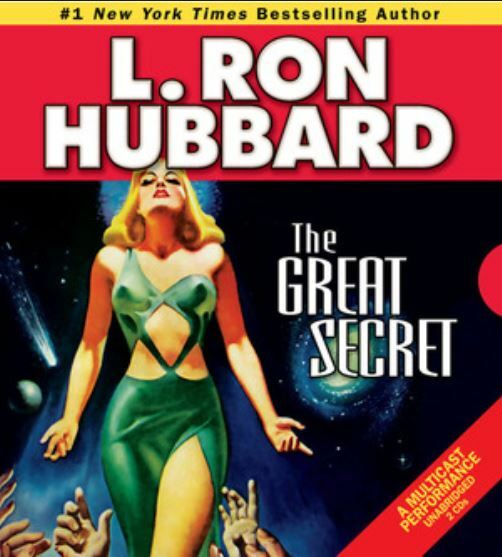 Photo above: Cover of a science fiction story by L. Ron Hubbard's The Great Secret, published during World War II, 1943. Ron Hubbard was a New York Times bestselling author. ​Vida's soon to be published story by the world-renowned Galaxy Press, her lively name along with her lively writing has sparked extra interest in and brought additional balance to the Writers of the Future force. [Galaxy Press official logo on the right].